Automation and cloud based accounting is massively transforming book-keeping and accounting on a constant basis. According to Swiss software company Temenos, nine in ten financial companies now run at least one application in the cloud. It is mostly due to flexibility, the availability of real time data and cost savings. Cloud technology allows users to access their accounts anytime and anywhere if they have a web-enabled device at hand. It offers easy integration to other-cloud based software systems providing flexibility and control. Procurement and Accounts Payable systems now integrate seamlessly to accounting ledgers as well as time management systems and payroll. One of the major advantages of cloud solutions is that the system is always up to date and there is no cost when upgrades are made available. Updates are instantly available as part of the Software as a Service subscription. Hotel Accounting services, offered by French Duncan, provide users with a highly automated, complete accounting service that can be viewed from any mobile device 24/7. Information on your financial performance is only a few clicks away, enabling you to take informed decisions in real time. 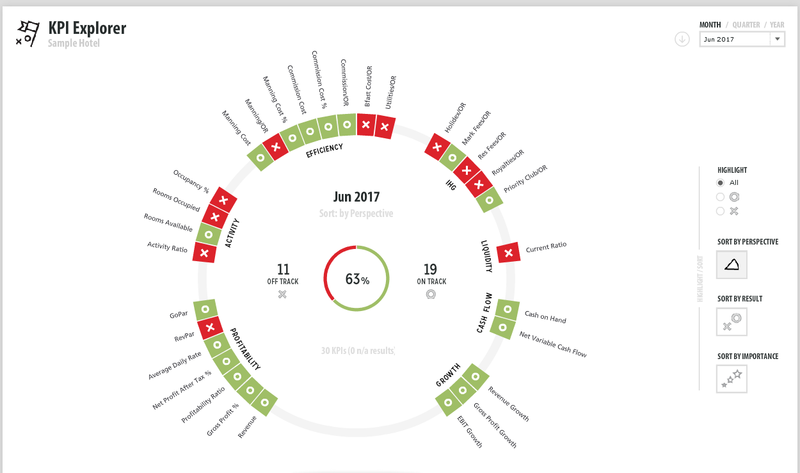 The FD Reporting system, developed by our hotel specialist Ian Bremner, enables you to create flexible and customised reports tailored to your individual business needs. Customised reporting can provide the necessary information to greatly improve the operational performance of your team. A vast majority of hotels and hotel management companies are still widely using spreadsheets for financial reporting resulting in out of date and inaccurate financial information. This can have an adverse effect on profitability! Traditionally, your management accounting information may have been presented anything up to 20 days after the month end limiting the opportunity to make strategic decisions and take corrective actions to influence performance. The real time accounting information which is now available enables you to create quick and effective real time strategies to maximise profitability. How can Cloud Accounting help you save money and time? Embracing the opportunities which Cloud Accounting offers also allows you to make significant savings on software, infrastructure and equipment. Cloud accounting facilitates direct integration with your hotel’s Property Management System providing you with the most up to date financial information on a daily basis. It allows you to save time and money by eliminating manual rekeying and human error. 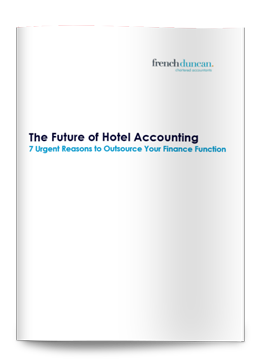 Ian Bremner, Hotel Accounting Director at French Duncan, said: ‘The ability to access information 24/7 365 days a year is particularly relevant to the increasingly global hotel sector where owners and operators may be in different parts of the world. The ability of all parties to share the same data in real time is a significant advantage’. Cloud accounting allows you to support your business growth without expensive changes to your existing systems. You don’t need to worry about capital expenditure and its impact on cash flow – you can benefit from up to date systems at low cost. If you would like to find out more simply contact our hotel specialist team and see how we can help. Click here to see Ian's profile and contact details. Discover the Future of Accounting with our whitepaper and get the latest insights into the 7 urgent reasons you should be considering outsourcing your finance function.